hd00:18Close up on film reel turning on film viewer. 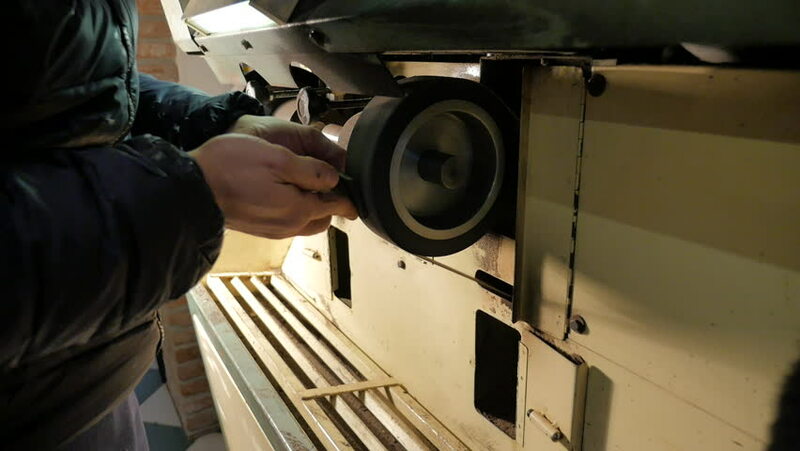 hd00:25Grinding and sharpen a piece of steel rod for a tool on a high speed grinding wheel. Sparks fly from hot metal. hd00:42CIRCA 1930s - A mechanic removes the wheel from a car and restores the tire's marks in 1939.